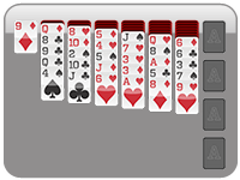 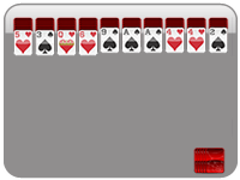 Like the speed of spiderette solitaire, but want something a bit more challenging? 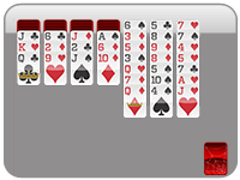 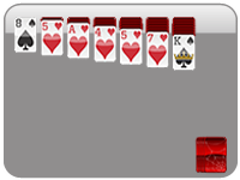 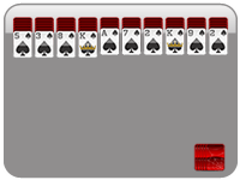 This spiderette solitaire card game uses two suits (hearts and spades) instead of just one. Look out! 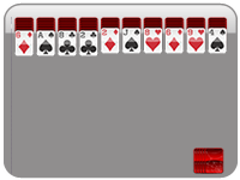 This one can get a little difficult, because you don't have as many columns in the tableau to play with. The good news is that, since it's an inherently faster game than spider solitaire, you can rip out these card games with Ludicrous Speed!